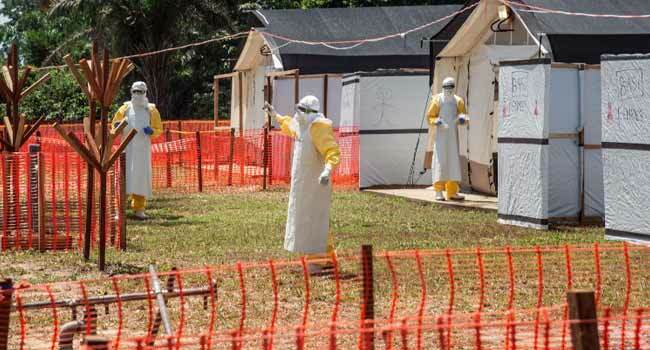 Nine confirmed Ebola victims have died since the virus resurfaced in the Democratic Republic of Congo this month, the country’s health ministry said Tuesday. The previous official toll was seven dead, with the two latest victims — like all the others — registered in the Beni region in North Kivu province, an eastern region with deep security problems which shares borders with Uganda and Rwanda. “In total, 43 cases of haemorrhagic fever have been reported in the (Beni) region, including 16 confirmed and 27 probable, and 46 suspected cases are under investigation,” the ministry said Tuesday. The Red Cross announced that it was rushing a “multidisciplinary” team of 19 people to Beni.